In this Financial English vocabulary lesson, you can learn business English vocabulary related to company financing. 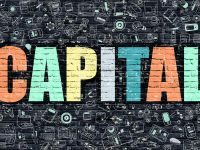 All companies need to raise capital to begin operations. These startup companies may choose to bootstrap the company using personal funding to provide seed capital for the early stages. Or they may seek out angel investors and venture capital by offering equity in rounds of financing called series A, B and C. They may also seek out strategic investors for extra capital and advice.